Artichoke dip seems to be a staple of any kind of gathering. There’s a reason for that – it’s delicious! There’s just something about it that is oh so satisfying. Artichoke dip seems to have that perfect ratio of cheesy goodness and saltiness to richness, and a little bit of that “Oh, I shouldn’t eat this but it’s so good!” feeling. 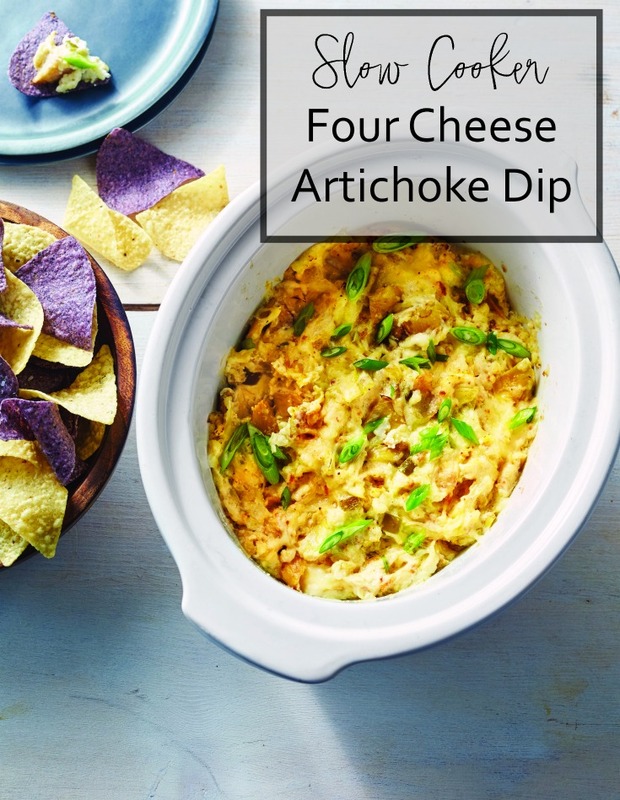 The good news is that this crockpot Four Cheese Artichoke Dip is oh so easy to make. You can practically toss the ingredients in a slow cooker and forget about it. It’s truly that easy to make. Combine all of the ingredients, except the tortilla chips and green onions, in the prepared crock. Cover. Cook on Low 1 hour, or until the cheeses are melted and the dip is heated through. Top with green onions, if desired. 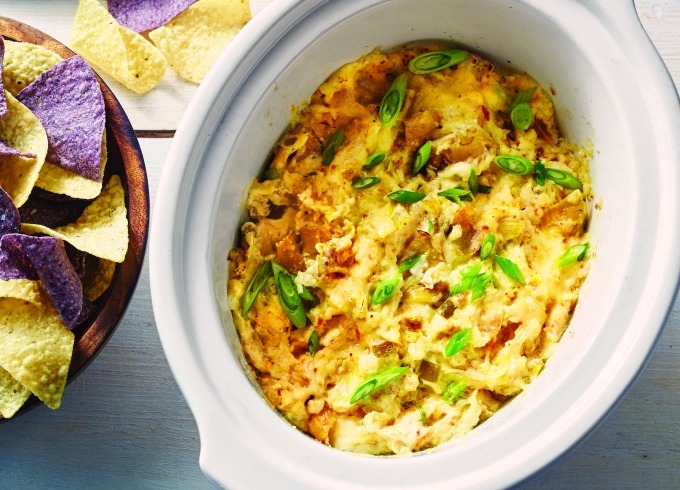 Serve from the slow cooker with tortilla chips. This Four Cheese Artichoke Dip is so versatile. It’s one of those dishes that everyone loves, and is a fit at any get together – from tailgating to the Big Game to a birthday or holiday party. You can even make it into a pasta sauce with a couple of small adjustments. Just add a couple of boxes of frozen spinach that have been squeezed dry, and cook for an additional half hour.